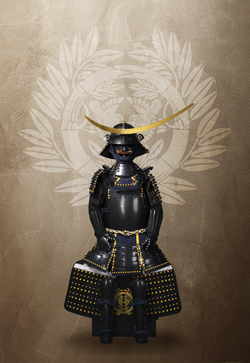 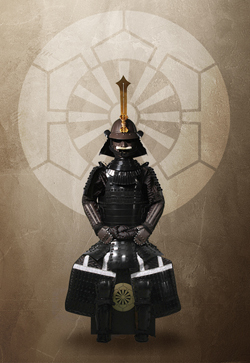 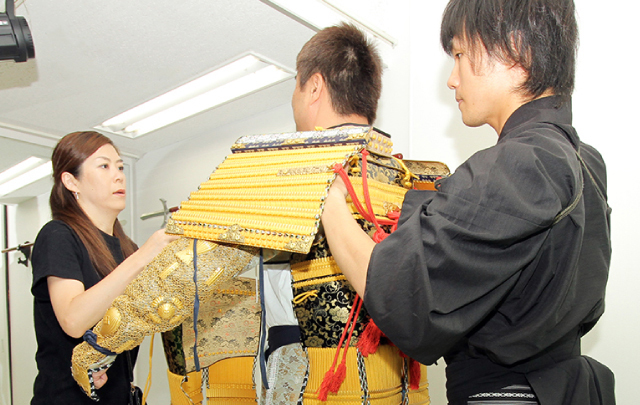 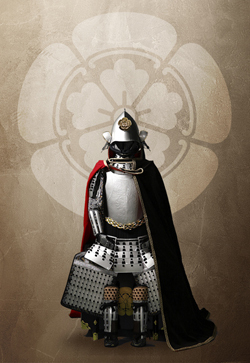 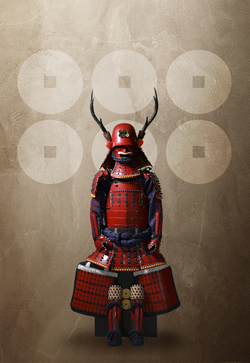 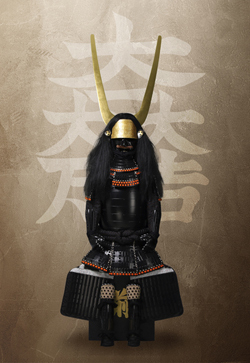 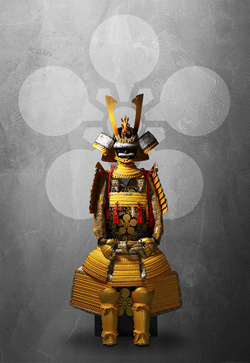 Offering the full-scale authentic armor used in Hollywood movies and the Japanese historical saga on TV. 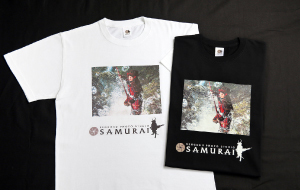 As known as “THREE HEROS” that Nobunaga Oda, Hideyoshi Toyotomi and Ieyasu Tokugawa, other popular SAMURAI legends including Yukimura Sanada, Masamune Date, etc. ※If your height is over 4’11″（150 cm）, armor for adults can be worn. 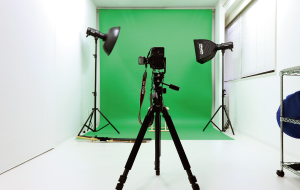 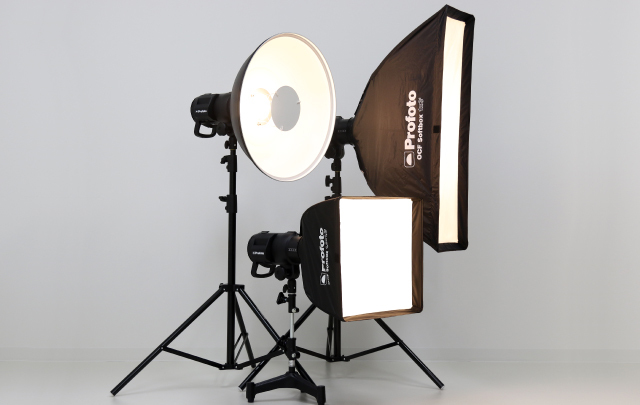 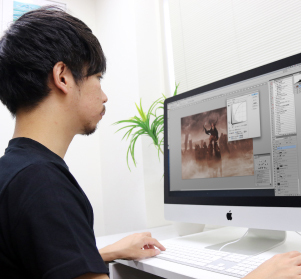 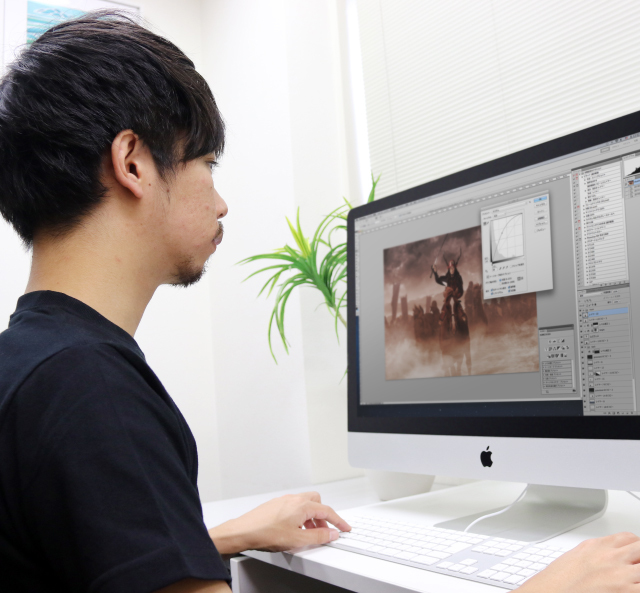 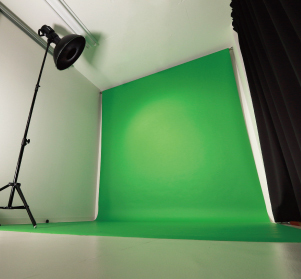 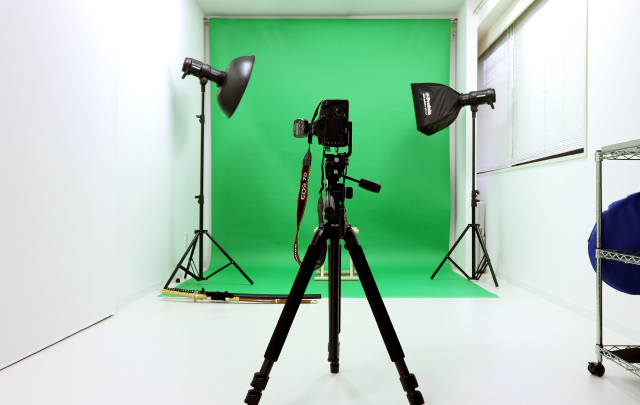 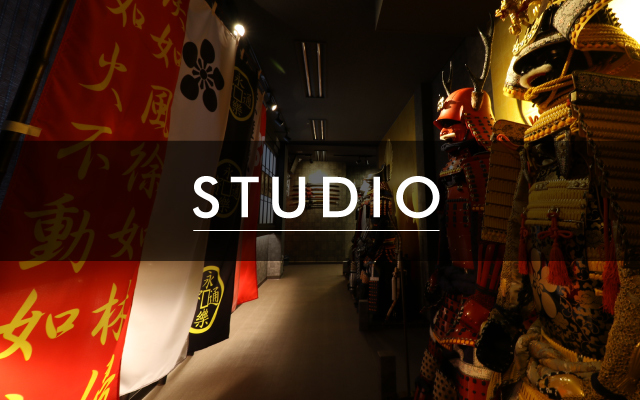 Photographs taken in the brand new studio established for the armor scene photography by the photographer who has full knowledge of the SUMURAI armor. 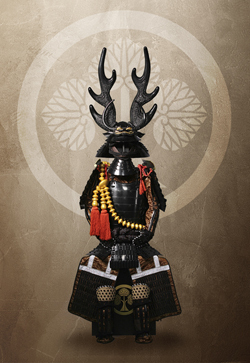 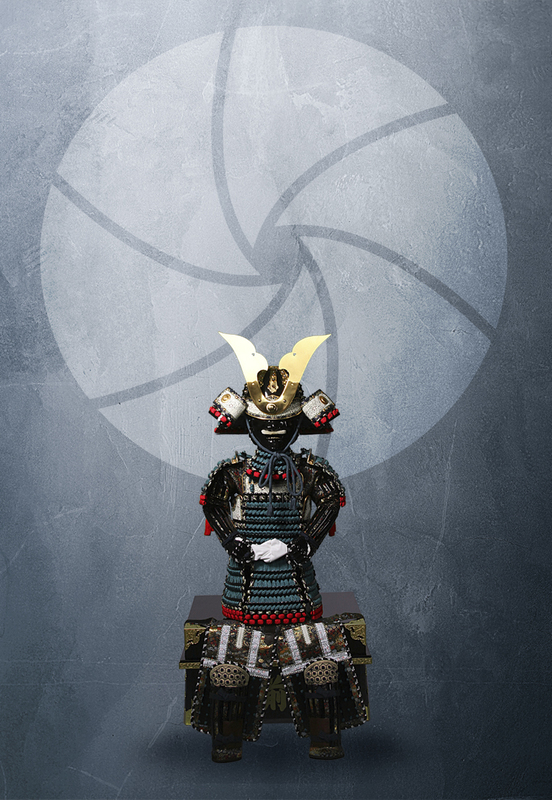 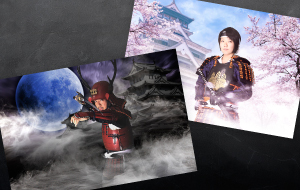 The formality of the poses and lighting used in the photographs with SAMURAI weapons such as Japanese swords and spears. Composite photograph captured with your favourite background by a professional designer. 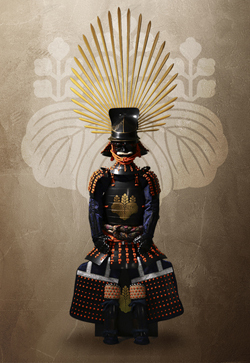 You will be amazed from the artistic finish as if it were a movie poster. Tourist routes connecting the 4 prefectures of Tokyo, Fukushima, Ibaraki, Tochigi ”Diamond Route”. 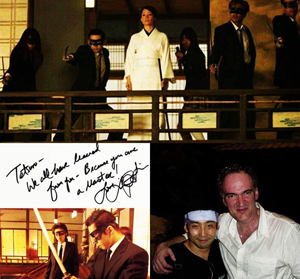 It is PR movie SAMURAI compilation. 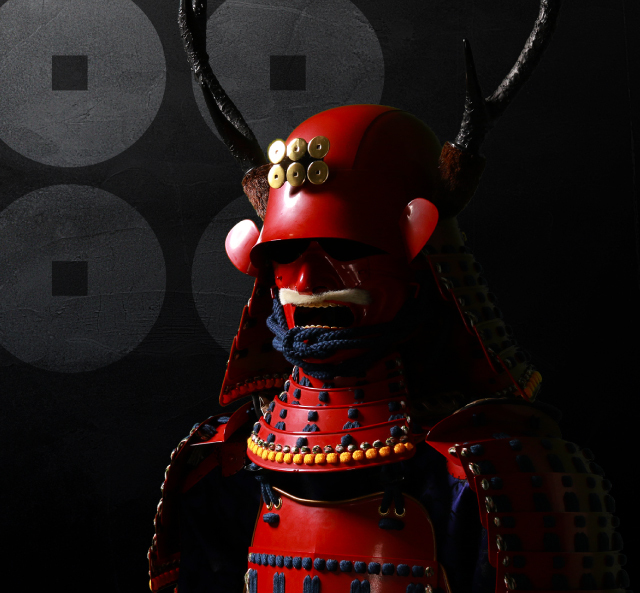 G-shock’s 35th anniversary anniversary special video released in 1983 in the first machine. 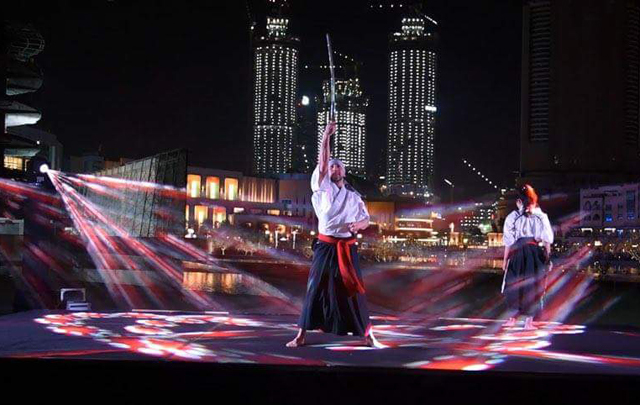 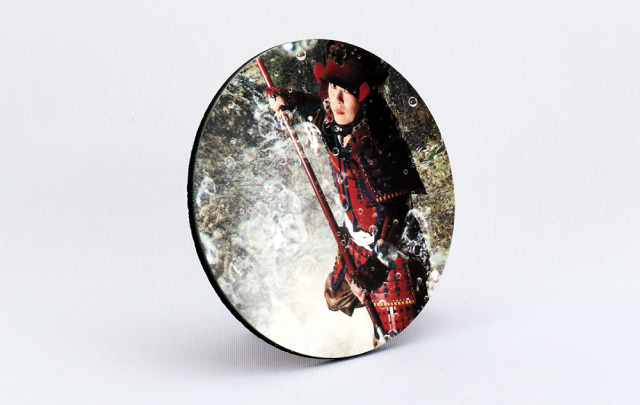 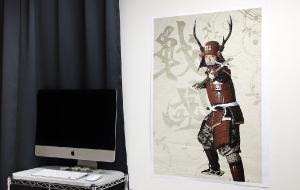 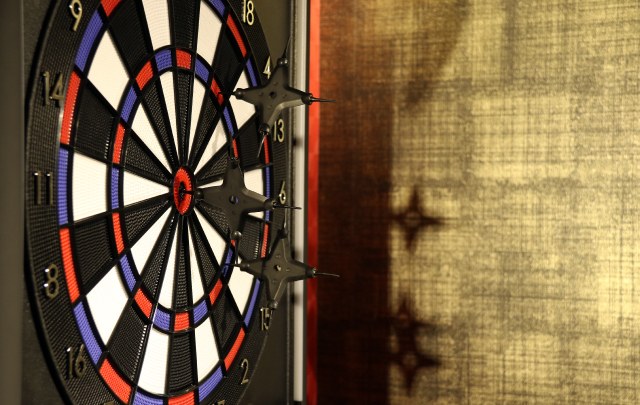 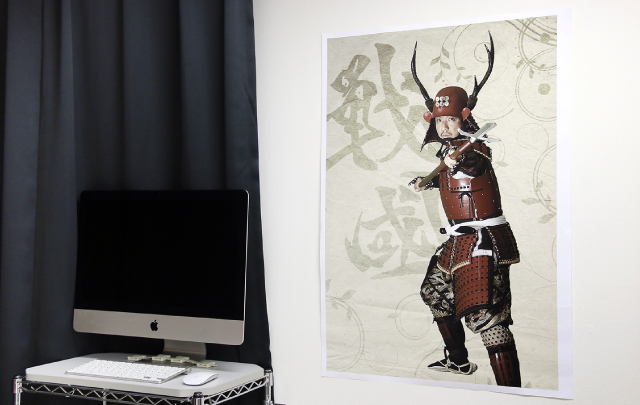 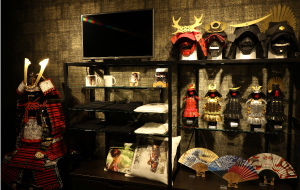 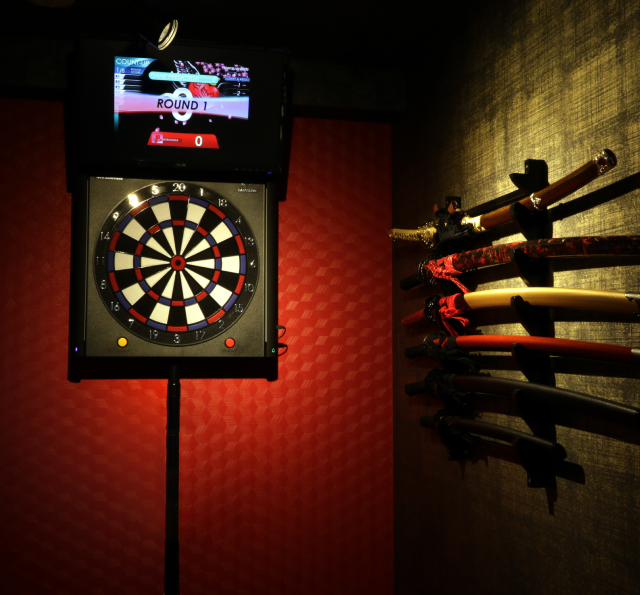 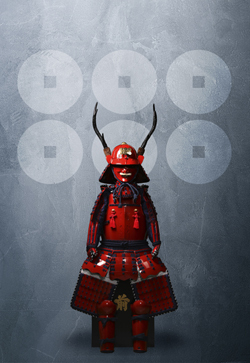 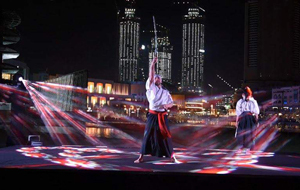 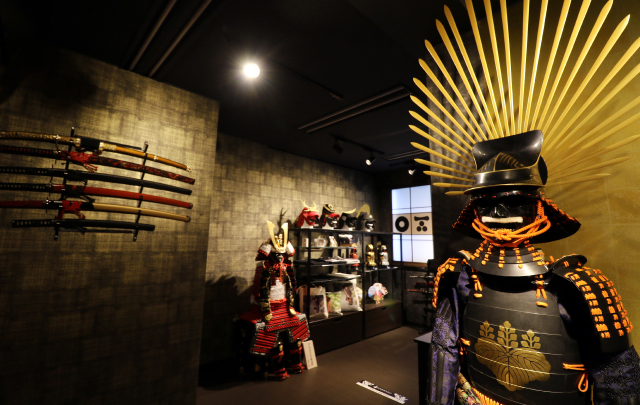 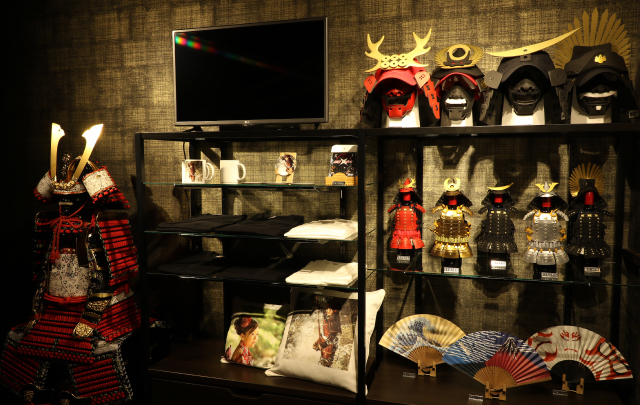 At our studio, there is a SYURIKEN dart game to play during your waiting time and various SAMURAI GOODS are exhibited such as the Japanese swords. 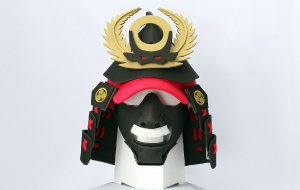 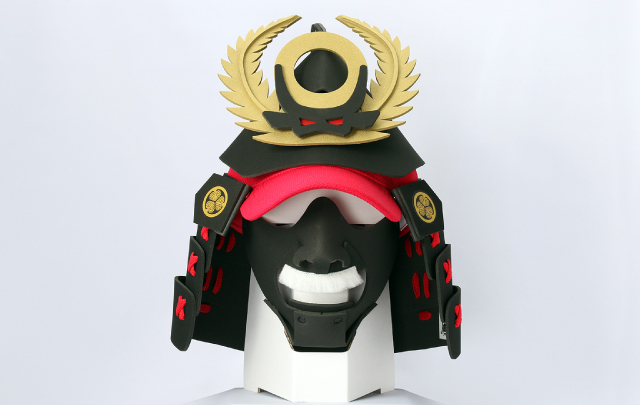 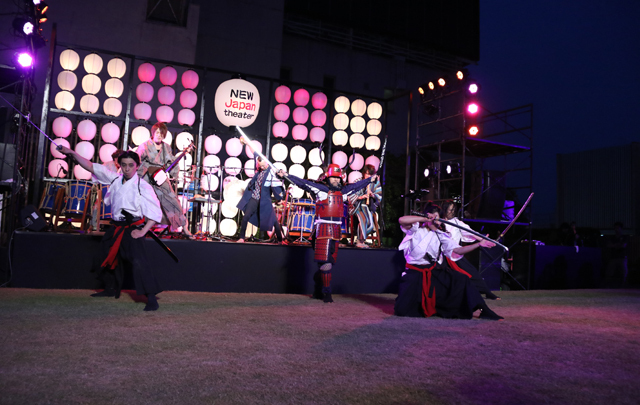 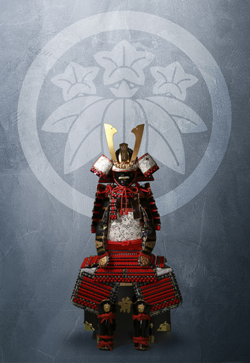 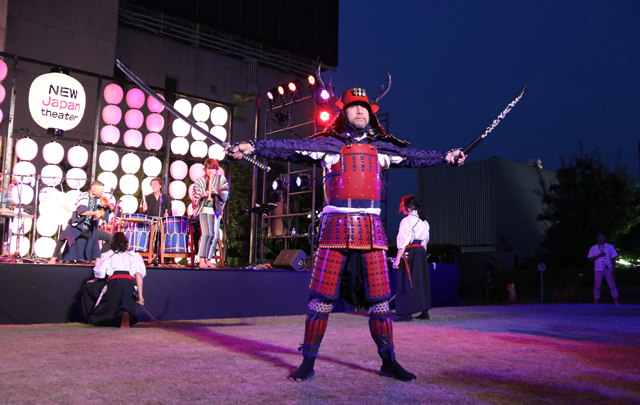 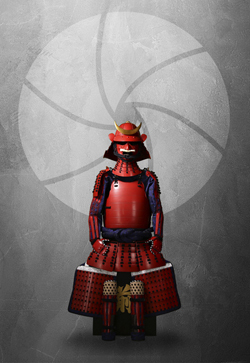 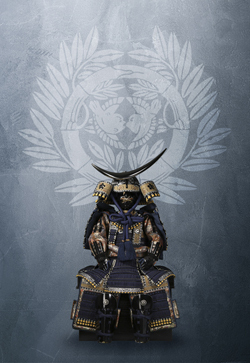 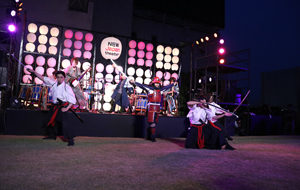 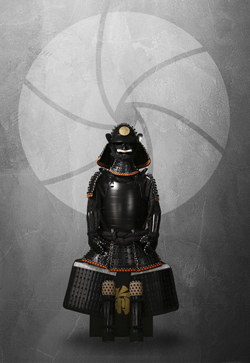 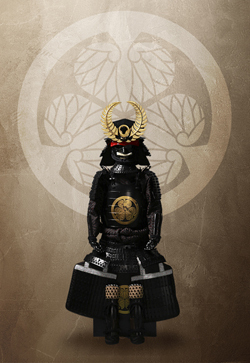 The sense of fun to excite you to become the SAMURAI. 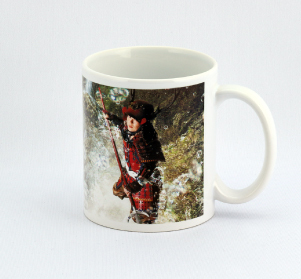 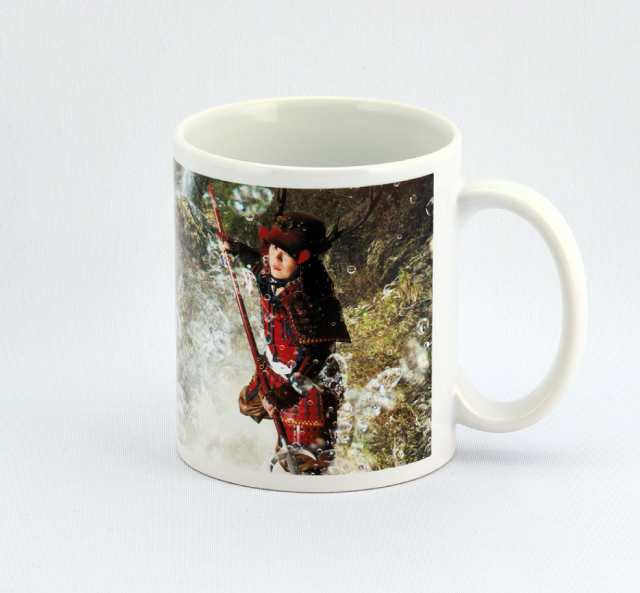 Printing service available in our studio for the captured photographs to T-shirts, mugs, coasters etc. 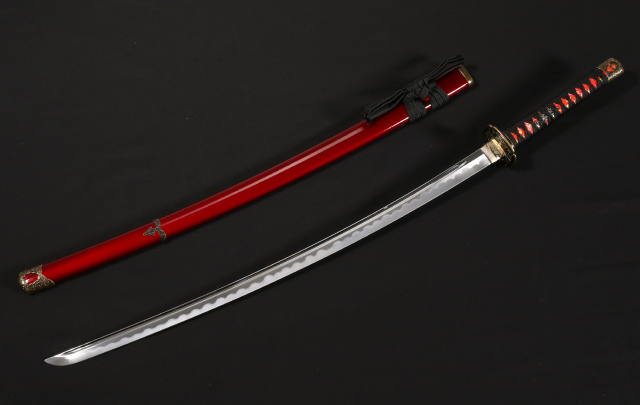 Offering Japanese swords(replica) or other original goods also available for sale.